Aluminum magnesium legs has the characteristics of durable skin-friendly and lightweight,you can hardly feel it on your face.they are the best choise for sports,driving,running,fishing,cycling,climbing,golf and other outdoor activities. 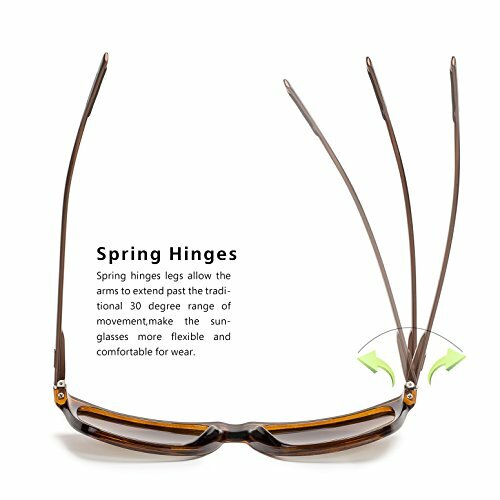 Spring hinges allow the arms to extend past the traditional 30 degree range of movement,make the sunglasses more flexible and comfortable to wear. 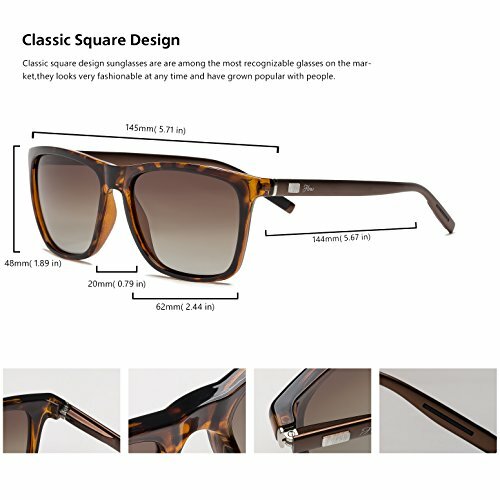 The Vintage square wayfarer design sunglasses fit any face shape. 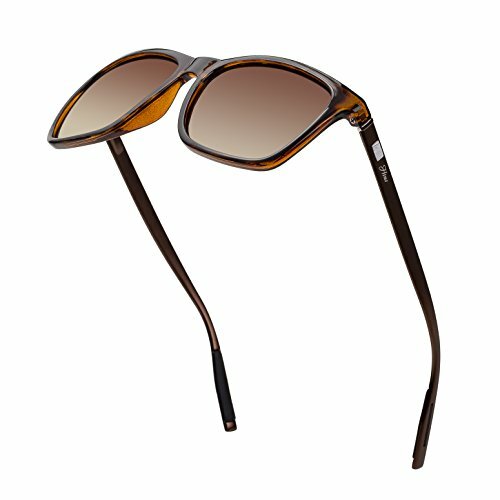 Polarized lenses due to a polarizing nature, can effectively reduce the harsh glare caused by various factors such as scattering,inflection or reflections. Never lay the lenses face-down on a hard surface or put your eyewear away without its protective case. Always clean the lenses with a soft cloth and good quality lens cleaner. Alternatively, they can be rinsed in warm water. Never use paper towels or other similarly abrasive materials to dry your eyewear. Do not attempt adjustments, have your trained eyewear specialist make any necessary adjustments for you. 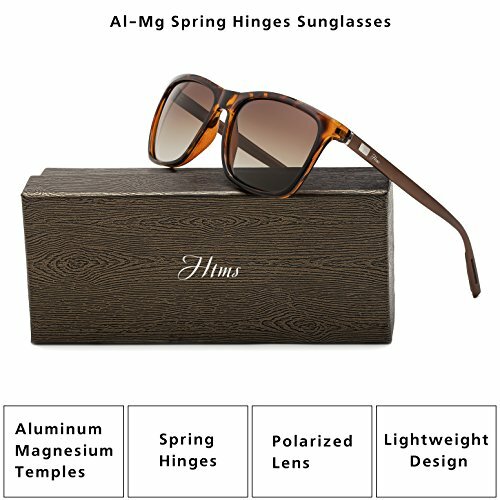 SPRING HINGES:A pair of spring hinges sunglasses will offer all the flexibility and utility you want and allow the arms to extend past the traditional 30 degree range of movement when opened the sunglasses.Protects your glasses from bending or breaking,provide a higher level of comfort. 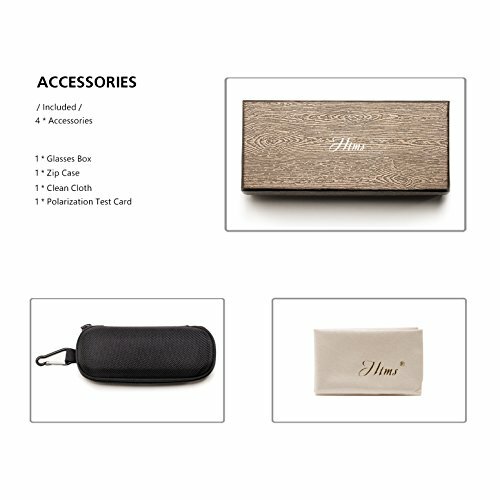 ALUMINUM MAGNESIUM SUNGLASSES LEGS:These sunglasses temples are made of aluminum magnesium material,Magnesium aluminum alloy is the most important of the magnesium alloys.It is light,durable and skin-friendly. POLARIZED LENS:The polarized lens provide crystal clear vision and reduce glare-causing reflections from flat surfaces.Against harmful UV rays,make sure your eyes are fully protected when you driving or other outdoor activities. 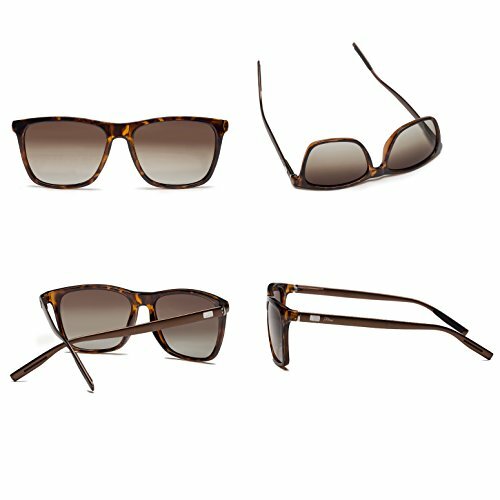 FASHION DESIGN:Wayfarer design sunglasses is early popularity and continues to nowaday.It is the most popular style of sunglasses.Fit any face shape and suitable for most outdoor activities. 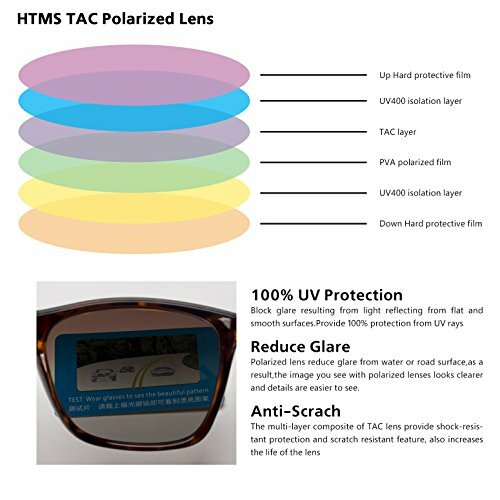 HIGH QUALITY:These TAC lens offer a multi-layered polarized lens,meets the requirements of the sunglass lens UV 400 standard.They also lightweight and highly impact resistant.